wir werden alle mit der Erinnerung an das Paradies geboren…. This entry was posted on 2011/06/06 by Anemalon. It was filed under Lyrik . 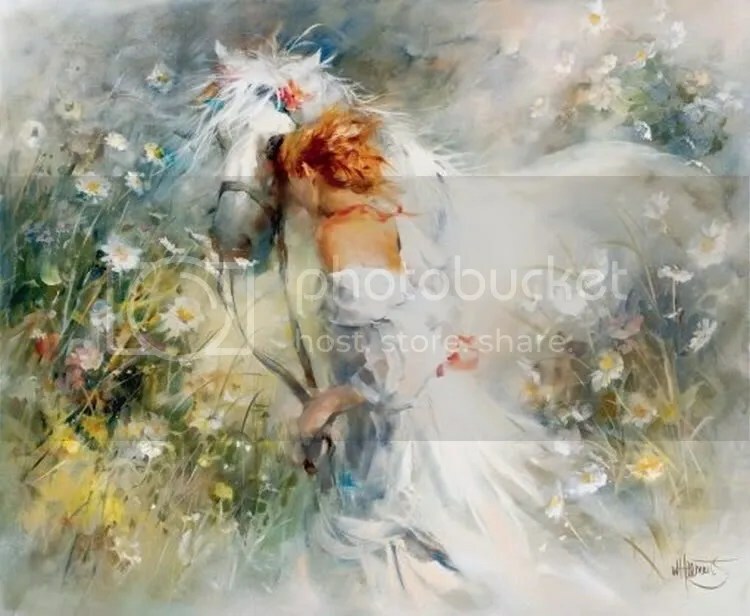 Loved this one Helga, and how the Horse and the woman’s dress merge into the Light disappearing in a magical glow..
Makes me feel like I want to pick up the paint brush again.. Ive not painted in a while.